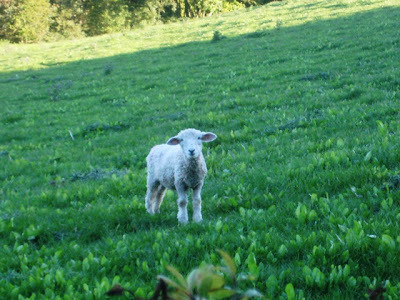 Wissy's blogspot: Wordless Wednesday ~ "Little lost lamb". Aww!! don't you just want to hug it and squeeze it and have it follow you home? So sweet! Lamb may be lost, but he is not in any hurry to go home....Beautiful place! Here is where the fiber artist in me wants to shear that little lamb and start spinning yarn.